Do you like to do things in your own way? Then you don’t need to share your kitchen and bathroom with anyone. 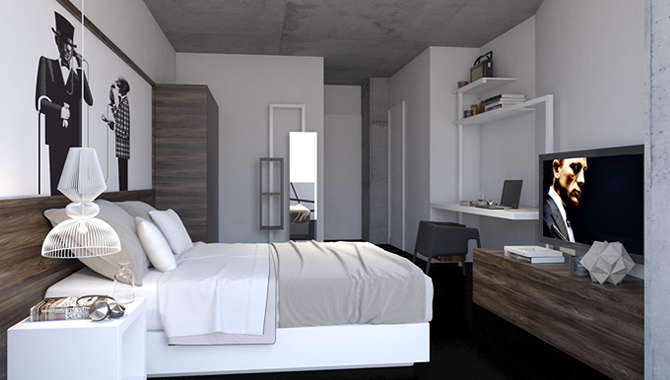 You’ll have your own kitchen and private bathroom, fully equipped and integrated. Bronze studios are also furnished with a queen-sized bed, a double-door wardrobe and a comfortable working space. Are you looking for more space for you and your things? Well, we have the perfect choice for you! Silver studios are designed with soft colors and offer plenty of storage space as well as two spacious wardrobes to keep your stuff. 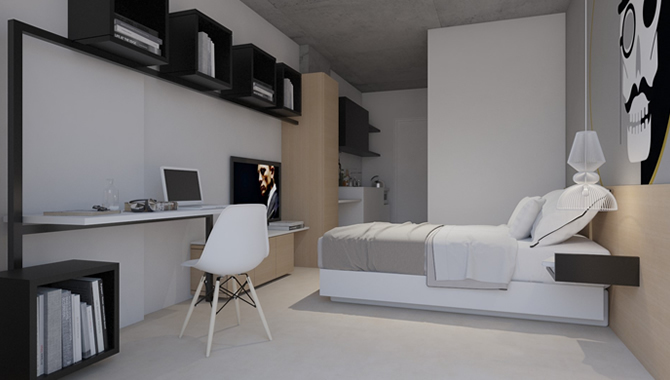 Moving to the next tier, you can live higher up in an elegant yet contemporary studio with all necessary furniture and electrical appliances, enjoying stunning views of the city. Private kitchen and walk-in shower are of course set for your own comfort. 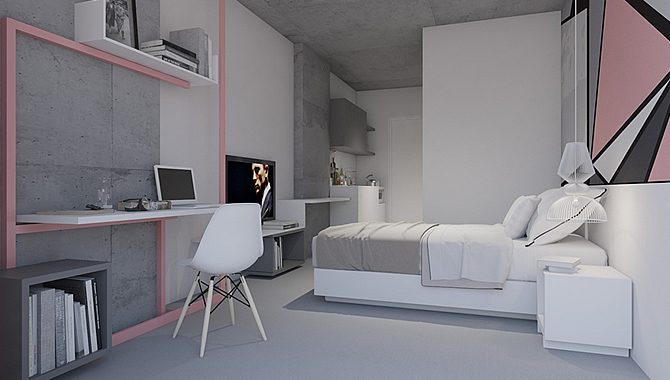 Panoramic views of Nicosia can be enjoyed in these spacious and comfortable studios, ideally located on the top floor of tower C. The ultra-modern wallpapers, contemporary fixtures and fittings and larger study desk make Platinum Studio the ideal choice. Hurry up and book yours today, as availability is limited. It’s all about the size! 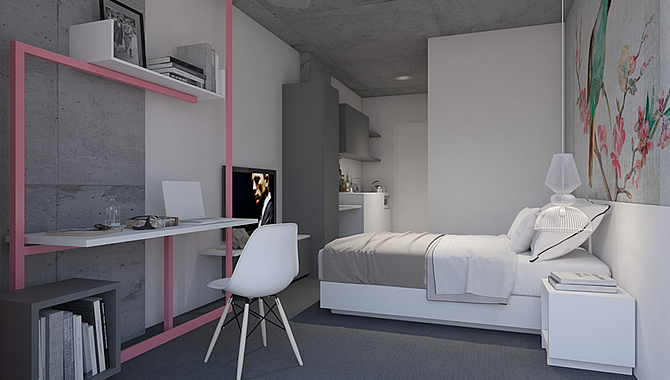 This type of studio offers a luxurious and ultimate set up that resembles to anything but a student room. 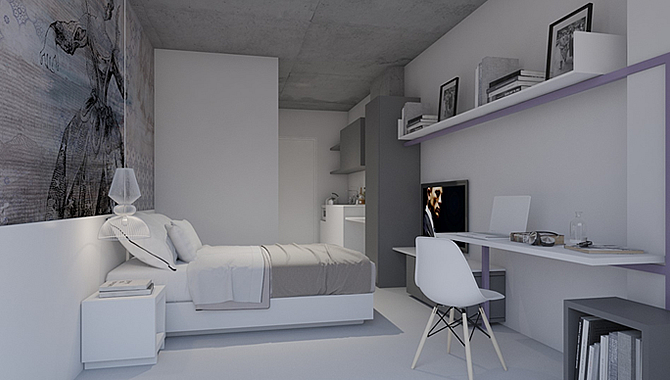 You’ll still have all the features of a studio but with more space to stretch your legs. You just need to decide whether you’ll eat out or invite your friends over a dinner. When it comes to expectations, 1-bedroom flat will definitely exceed yours! With its elegant design, extra-large wardrobes, separate kitchen and capacious bathroom this one has nothing to be jealous of a 5-star hotel room. 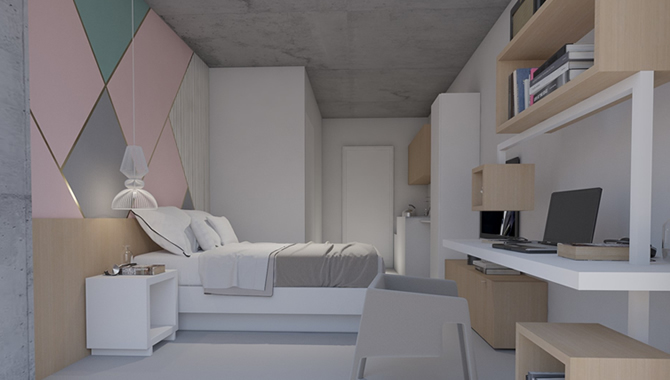 Furnished with top-quality, luxurious materials, it is ideal for the students who want to take student-life experience to a whole new level!